“If you can measure it, you can manage it.” This is especially true when it comes to business finances. One of the best ways to measure the financial performance of your business is to calculate and monitor several key financial ratios. These are comparisons of financial metrics—like current assets and liabilities, debt and equity, sales and cost of goods sold—that can help CEOs and CFOs spot potential problems before they get worse. Ratios are derived primarily from your company’s financial statements; specifically, your balance sheet, income statement and cash flow statement. Following are several of the most important financial ratios for most businesses, along with the formulas for calculating them. Perhaps the most common financial ratio, this helps measure liquidity by revealing how many times current assets could be used to pay off current debt. Investors and lenders commonly use the current ratio to determine a company’s ability to pay its obligations on time and keep operations running smoothly. A current ratio of 1.25-to-1 or higher is generally considered to be in-line with most investors’ and lenders’ expectations. Also relied on heavily by lenders, this ratio is used to measure a company’s ability to take on more debt (or its debt capacity). To avoid lending to companies that are over-extended, lenders generally look for a debt-to-equity ratio of less than 3-to-1. This ratio helps uncover potential accounts receivable collections problems by revealing how many days of sales are uncollected in A/R. While a DSO of 45 days or less is generally considered to be acceptable, the DSO trend tends to be more important than the number at any given time, as a lengthening DSO may be a sign of cash flow problems to come. This ratio may also help flag potential A/R problems early by measuring how long it currently takes to collect receivables. Compare your A/R days to your terms of sale and industry averages (visit the Risk Management Association for industry benchmarks: www.rmahq.org) to see how your company stacks up against your own internal criteria and the performance of your peers. Just as important as monitoring your collections is monitoring how long you currently take to pay your vendors. The goal should be to stretch out your payables as far as you can while staying within your agreed-upon payment terms and protecting your hard-earned trade credit. This ratio measures how often inventory “turns over”—or moves through your warehouse or off your store shelves—in one year. The more times you can turn over inventory, the better your cash flow will be. Four inventory turns a year is a common benchmark, but ideal inventory turns vary from one industry to the next. Compare your inventory turnover trends from one year to the next and always strive for improvement, as increasing inventory turns can boost cash flow and profits without a corresponding increase in sales. It’s important to note that ratios in and of themselves are of limited usefulness. Instead, compare your key ratios from one quarter or year to the next, as well as with industry benchmarks, to spot trends that can help improve financial management. As they continue to face economic headwinds in this uncertain recovery, Los Angeles and Southern California CEOs and CFOs should take advantage of every opportunity to improve the financial management of their companies—including financial ratio analysis. 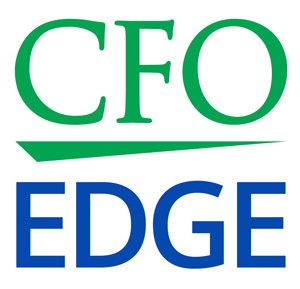 A provider of outsourced CFO services can help you identify the most important ratios for your business and then calculate, monitor and track these ratios on a consistent basis.